"Stumphs Armory, Starke, FL" by George Lansing Taylor Jr.
Starke is a city in Bradford County, Florida, United States. It is the county seat of Bradford County. This is the Stumphs Armory located in the historic district of Starke. 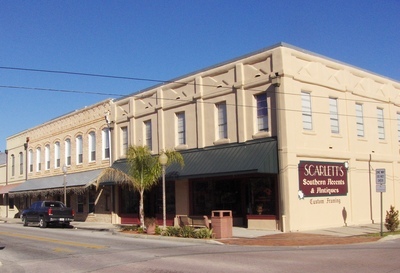 It now houses stores and business offices like Scarletts- Southern Accents & Antiques, and many others. Taylor, George Lansing, Jr.; Lance Taylor; Photographers -- Florida --Jacksonville; Photograph collections -- Florida -- Jacksonville; Stumph's Armory; Armory; Stores; Business offices; Historic district; Bradford County (Fl. ); Starke (Fl. ); Armories -- Florida -- Starke.